10 Arch Street #A5 is a 1 bedroom condominium in a price point of its own. 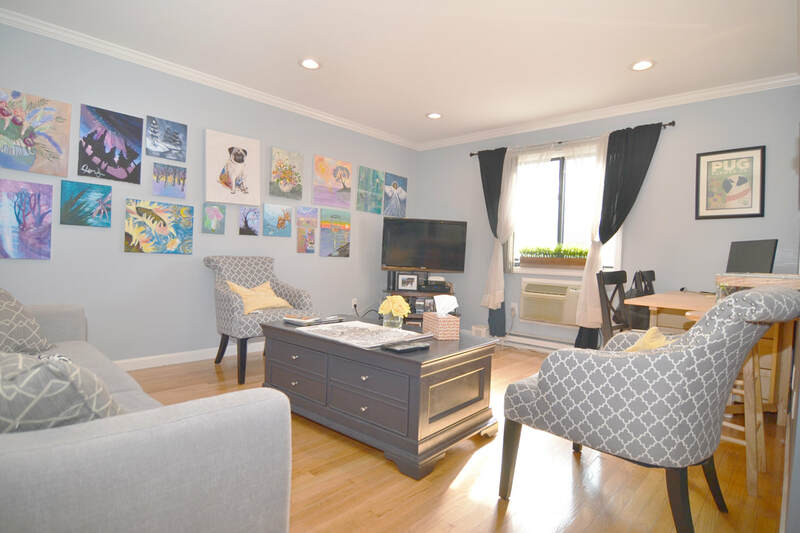 With such a lack of quality inventory on the market, this small, but open-concept apartment stands to be a quick sale, with a new homeowner getting the best possible deal! The first impression of the area surrounding Arch street is one of awe, as this West Ave area of Norwalk has seen major development in the past 5 years. The projects that were stuck for many years due to lack of funding have finally made it to fruition, with some massively popular apartment buildings finding new tenants of every age and demographic. What is more special about this location, besides the nearby popular restaurants such as Colonie Grill, Sadona Taphouse, the new Barcelona, and more, is the proximity to the new mall, which should be completed soon. This area has seen so much positive development, prices have increased and should continue to rise as these projects are expanded and completed. 10 Arch Street is a clean, brick building situated amongst the excitement. The entranceway opens into a hallway with modern decorations, and a new paint job, speaking to the efficient management of the premises. The unit is one of four on this level, and has plenty of natural light coming from the windows. The unit has an open feel, with the kitchen and living room married by a breakfast bar. The new recessed lighting, and the well-chosen colors make these spaces feel bigger and brighter. The kitchen has granite counters, a garbage disposal and dishwasher, and plenty of counter space. There is also a foyer/entrance area that could be used as a dining room as the previous owner had done. The bathroom is also in quite good condition, having been renovated with a granite vanity that matches the kitchen, and a clean/newer tub and toilet. There is a large bedroom, also with hardwood floors, that comfortably fits a queen bed, and so much more furniture, if needed. There is recessed lighting in this room as well. The unit has multiple closets, that rounds out the space as perfect for today's buyer that might be seeking a 1 bedroom home. Laundry and storage units are only a flight of steps down, and the complex is pet friendly. Low HOA fees that take care of all necessary headaches, and well-managed, 10 Arch Street is a great, affordable option in today's highly-competitive condominium market. For a competitive $155,000 offering price, 10 Arch Street #A5 impresses. Newer updates enhances the unit beyond the neighboring 1 bedrooms, and the open layout makes the space feel much bigger. Move right in, and don't worry about the need to do any renovations for many years to come!